We’ve chosen this series particularly because of the fame and quality of the JBL GTO Component Speakers but of course, we’ll also touch one or two JBL GX series as well as a side by side comparison of the JBL GX VS GTO in the later parts of this review. But before we proceed, let’s try to answer one of the questions that most newbies to this brand of car speakers are always fond of asking. Are JBL Speakers Any Good? As long as you are a car audio expert or you’re working in that line, you’ll often get asked questions, one of which goes like are JBL speakers any good? What the best car speaker brands are and much more. It is for the purpose of clarity that we’ll simply put it to you that the JBL GTO Series is one of the best sounding car speakers you can find anywhere around. The JBLGTO 638 has been around for a while and still features in most reviews as either the best or one of the best car speakers for sound quality and decent bass without a subwoofer, same as the GTO 938 which is always in contention in the JBL GTO938 VS GTO939 battle. So, to answer your question of whether JBL Speakers are any good, YES! They absolutely are plus they are one of the best brands of car speakers that can give you high-quality and topnotch automobile entertainment. In our JBL Car Speakers review, we’ll touch some of the most popular JBL Car Speakers such as the JBL GTO Series review while others like the JBL GX Series review will also surface. Let’s check this out! The JBL GTO Series of car speakers, in all honesty, are some of the best pairs we’ve tested in our years of car speakers reviews. The audio quality of these speakers are just excellent and they have some of the highest volume potentials you’ll see only on the best sounding car speakers in the world. The power handling capacity of speakers are just great and the design options come in different sizes to ensure each model and type of car gets its own right fit. Although the average peak power handling of these series is about 300 watts, a little lower than some other speakers, it’s continuous power handling RMS of 200 watts is also one of the highest and so they still get their priorities right. Reported sensitivity is about 94dB and the frequency range can range from 46 Hz to 21 kHz. This part of the JBL Car speakers reviews one of the most popular and highly functional members of the JBL GTO Series. This is the JBL GTO939 and if you’re wondering whether it carries an exorbitant price tag, then be rest assured that the GTO939 is a budget buy with one of the best value to price ratio. The peak power handling seems low. The JBL GTO 938 and the JBL 939 seems very similar in performance and specifications but the GTO939 seems to have the upper edge of the two. A lot of similarities exists in their specifications and features some of which include the same sensitivity rating of 94dB, the same tweeter dome design although the tweeter component of the GTO938 is Mylar while the GTO939 has a textile material tweeter. They both have the same peak power and RMS of 200 watts. The JBL GTO938 has an impedance of 2 ohms while the JBL GTO939 has a 3-ohms impedance. The tweeter size of both three-way speakers are not similar though, the GTO 938 has a one-inch tweeter size while the JBL GTO939 has a tweeter size of ¾’’. Both of these speakers look great and sounds very great but of the two, you’d pick the JBL GTO939 without hesitation. The GTO938 is now phased out of production and you can easily pick up the GTO939 model for high-fidelity entertainment for just under $100. So, in this battle of JBL GTO938 VS GTO939, the winner is the JBL GT0939, hands down. This is down to a lot of improvements which includes but not limited to a better sound performance as well as the improved impedance of 3 ohms which is great for your speakers if you’ll be using amplifiers. The next part of our JBL Car Speakers review features a comparison of the GTO series with the most popular JBL GX963 of the GX series of JBL car speakers which from all indications are also quite good. You should know that by now that JBL is only known for their industry-standard products and hardly will they churn out a mediocre product. We’ll briefly compare the JBL GX963 Coaxial Car Loudspeakers with the JBL GTO938. There are quite a lot of similarities between both JBL Component Car Speakers. The woofer components, the tweeter design, the sensitivity rating as well as the power handling ratings are all similar. Recall we mentioned this stats out in the JBL GTO938 VS GTO939 comparison above. Need we say they both also have the same frequency response range. Right here, the little difference in the speaker specifications seems to be the impedance with the JBLGX963 rated at 4 ohms while the GTO938 carries 2 ohms, although the JBL GTO939 is rated at 4 ohms. Of the two, the JBL GTO Series seems the better although the GX963 is also equally great. One thing that we should all know is that JBL Car speakers are some of the best in the industry and they won’t stop to delight us for a long time to come. Are JBL Speakers any good? They are not just good, they are overwhelming! 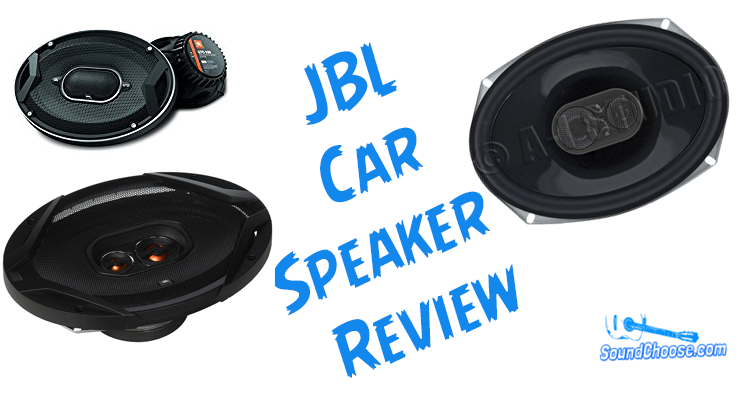 Our JBL Car speakers review has shown you quite well that JBL speakers are great and nothing short of excellent. You could pick up the JBL GX963 or the JBL GTO939 which to most people is the best car speakers for its great sound quality. Whichever one you pick though, you’ll definitely enjoy the high-quality entertainment that comes with using JBL the high-fidelity JBL car speakers. Choose your pick of the lot and you can begin to enjoy a crisp sound and audio output per excellence in your automobile.